Baylor enters into the 2015-2016 season as the unofficial “Texas state champs.” The Bears have risen up thanks to an explosive offense that uses the entire width of the field and a frantic pace to light up the scoreboard. Baylor has improved each season under Art Briles and they are poised to make the College Football Playoff. Bryce Petty, a record-setting quarterback for the last two seasons, has led the Baylor offense to some of the best seasons in school history. Petty has now graduated and Baylor will turn to QB Seth Russell to lead the way. The good news for Russell is that Baylor’s offense is a perfectly suited to allow young quarterbacks to put up big numbers and build confidence. Baylor returns a wealth of experience offensively and boasts 18 returning starters. A shocking 6 of these players earned all-conference honors last season. Baylor returns every offensive lineman, 2 starting wide receivers, its starting tight end, and the defense remains intact. Baylor will lose only 2 defensive starters from last season. Shawn Oakman will anchor Baylor’s defense. Oakman’s continual improvement should mean a strong defensive front for the Baylor defense. Oh, and Oakman is an absolute mountain. The Bears play in the Big 12, which means they’ll need to be ready to rush the passer as they take on plenty of pass-happy teams. Oakman should provide some much needed pressure. Baylor’s biggest struggle is always going to be losing out on a potential College Football Playoff spot because of brand recognition. Last season there was a strong case could have been made for Baylor to receive the final spot in the College Football Playoff. 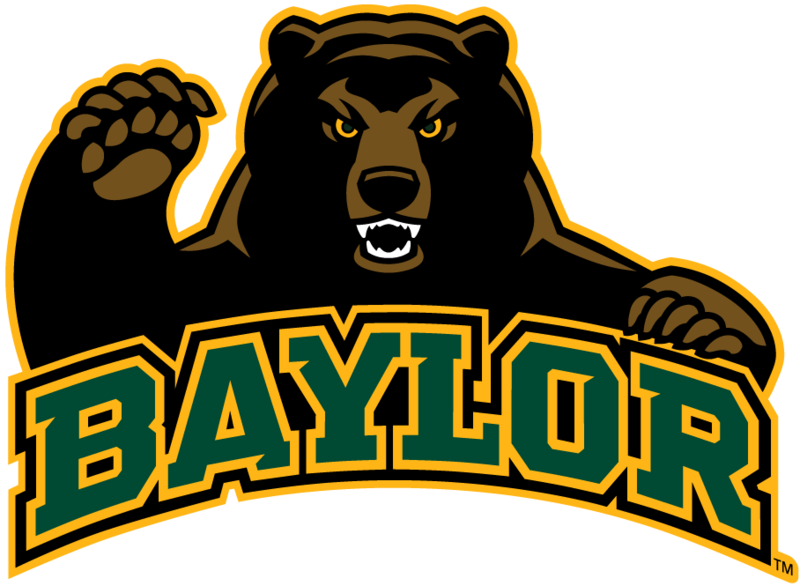 However, Baylor lost out to Ohio State due in part to the pedigree of Ohio State in comparison to the relatively recent success of the Baylor program. Baylor needs to shore up its defensive struggles in bowl games in order to take the next step as a program. I was taken back by Baylor’s collapse against Michigan State and they were thoroughly beaten the year before by UCF. I would hope that Baylor could make the necessary adjustments and I felt like Baylor let their guard down after building up such big lead against Michigan State. I would look for Baylor to make some defensive improvements this season and I am always biased towards teams that return proven production. Experience is vital in college football and Baylor boasts more than its fair share. The Bears will not get any help from their very weak non-conference schedule so they’ll need to run the table to make the College Football Playoff. Coleman led the Baylor receiving core last season with 64 catches for 1,119 yards and 11 touchdowns. The Baylor offense will allow talented receivers the chance to put up huge numbers and look for Coleman to do so again in 2015. Shock Linwood has a fantastic name. He also put up some fantastic numbers last season, rushing for almost 1,300 yards at 16 touchdowns. Russell was sensational in back-up duty last season. He needs to work on his accuracy (only 56.5%) but in Baylor’s offense it is difficult to complete a high percentage of your passes. The reliance on the vertical passing game diminishes their quarterback’s ability to complete a high percentage of their passes. Russell did throw 8 touchdowns and only 1 interception. If he wins the job, and I believe he will, he will throw for over 30 touchdowns and flirt with 4,000 yards passing. Baylor might not have to be undefeated at the end of the regular season if they would schedule a competent non-conference opponent. The Bears will take on SMU, Lamar, and Rice. The playoff committee will not look kindly on this type of non-conference schedule if Baylor is unable to runt he table in the Big 12. Baylor returns so many starters from last year’s team that it is difficult to pinpoint a position battle. Russell is the favorite to win the starting quarterback job going into next season. He will no doubt earn this position given his performance last season and his ability to stay healthy. Best-Case Scenario: Baylor remains an offensive juggernaut and rolls into the final stretch of games in the heat of the playoff picture. Baylor boasts an improved defense and finishes out the season undefeated. The experience this Baylor team returns serves as the foundation for a national title game birth. Baylor wins the College Football Playoff and makes the committee regret leaving them out last season. Worst-Case Scenario: Baylor’s weak non-conference schedule dooms them after the Bears lose to TCU. Baylor loses out on a playoff spot to another team with a superior pedigree. Baylor’s roster full of talented and experienced players is unable to legitimize what has become one of the nation’s best programs.